Campbell's Cottage: False Puff Balls are early this year! False Puff Balls are early this year! Bluebells and bracken are much earlier this year and so too are the false puff balls. 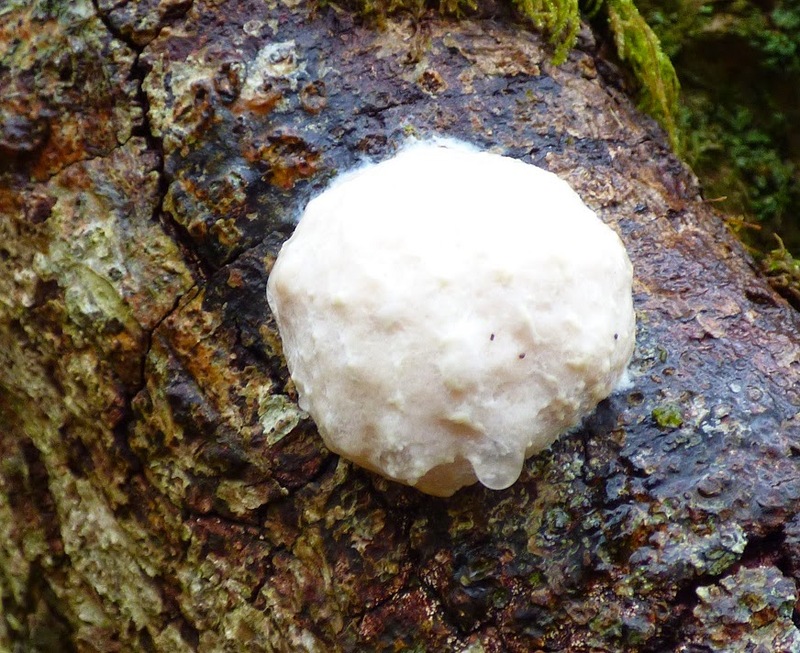 These are slime moulds which climb up a tree trunk to get a better vantage point from which to spore. They look a bit like half a white tennis ball. The earliest I’ve seen them is 29th April but more often it is in May – I first noticed this year’s crop on 24th April and they were already past their peak. 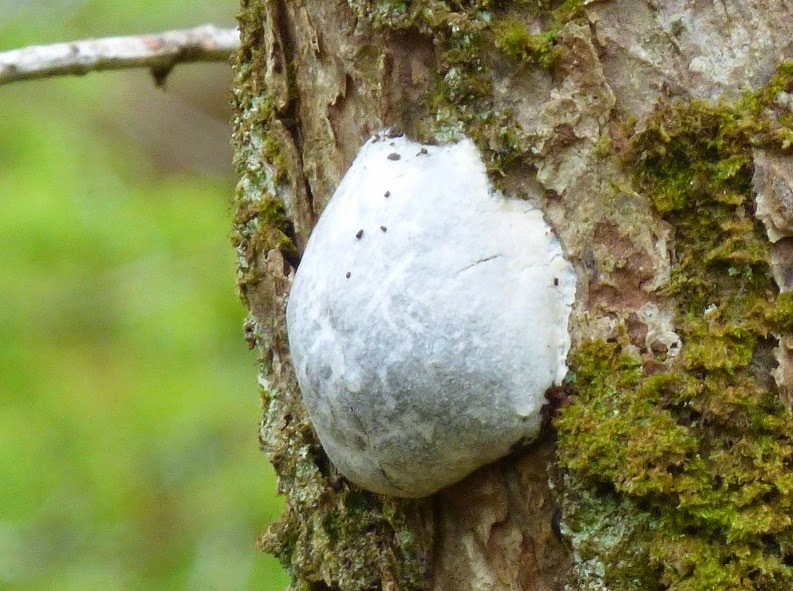 In previous years there have been two puff balls on a single tree, by the Railway Inspectors Cottage in Coed y Bleiddiau. This year there are two trees, each with a pair of puff balls and a couple of minutes’ walk away there is a fifth false puff ball which is conveniently at eye level. 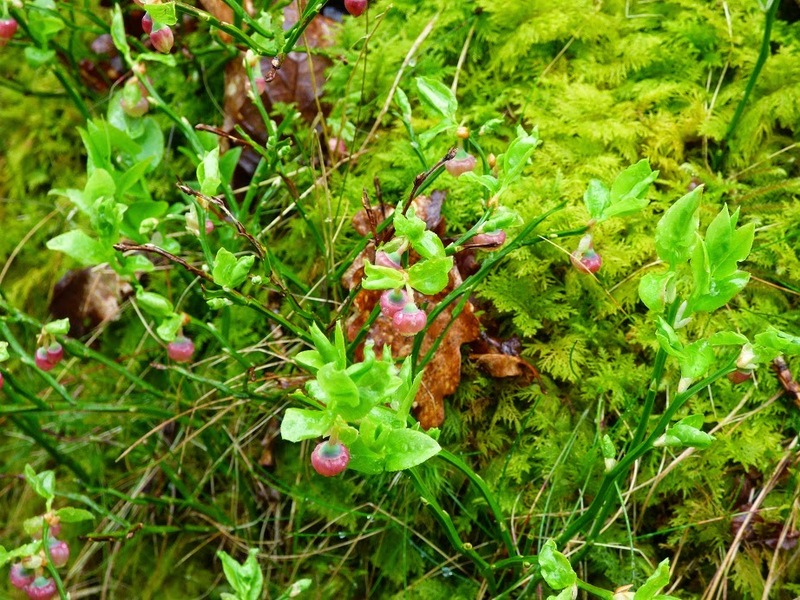 Bilberry fruits also seem to be well advanced. Normally in July and August there are lots of berries on the far side of the stream but barely any on the near side, the side nearest Campbell’s Cottage. But today there were masses of unripe berries on our side. Are there some creatures that eat the berries on just one side of the stream? Could it be the badgers? Maybe they see the stream as the border of their territory?